*Disclosure- I received the mentioned product courtesy of the sponsor for the purpose of this review. All opinions are genuine, based on my experience with the product, and have not been influenced by promotional items. This post may contain affiliate links. Please see my Policy tab for more information. It is very rare for me to take over the counter medicines, and last week I talked about how I have been using essential oils for natural health remedies. Not only do I use them to help keep me healthy, essential oils have multiple use benefits. One that I find myself turning to time and time again is lavender essential oil. An all-around relaxer, the scent of lavender can soothe the nervous system, acts as a mood booster, assist with insomnia, and eases headaches. Because it has great anti-bacterial properties, lavender is one of the best remedies for burns, stings, cuts and irritated skin. Lavender is one of the few essential oils that don't have to be diluted. You can apply it directly to the skin without diluting it with a carrier oil. Since it is so versatile, I use lavender essential oil quite frequently in my homemade bath and body products, as well as cleaning products. The scent is so calming, it is one of my favorites. Having it on hand is an absolute must, and I am currently obsessed with Applejack Life Lavender Essential Oil . Applejack Life's Lavender Essential Oil is 100% pure, therapeutic grade oil. They steam distill the oil to ensure it is produced with the highest quality. It comes packaged in an amber colored glass bottle to protect the oil from breaking down in light. When I first opened the package, the scent was very strong, so I knew the quality of the oil was amazing. Just having the bottle opened filled my kitchen with the soothing aroma of lavender! Combined with the generous 4 ounce bottle, I am not going to be running though it quickly. It does come with a free dropper, so no need to purchase a dropper to remove the product from the jar. 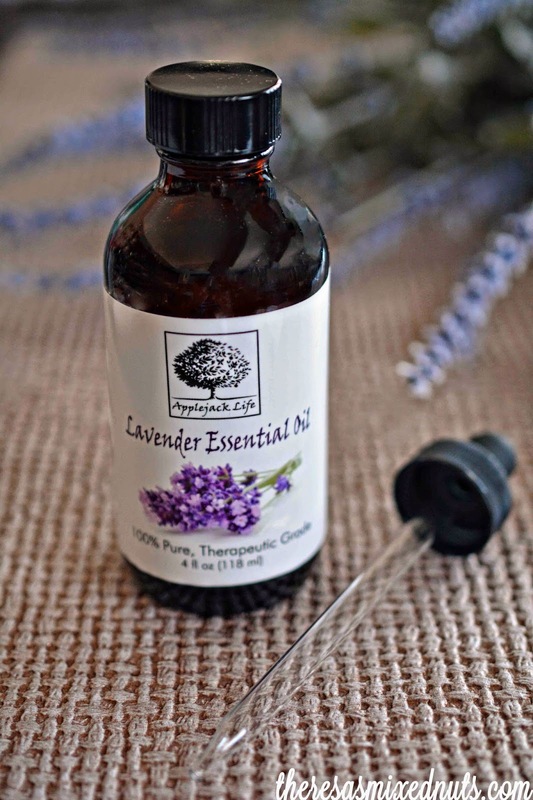 Whether you are new to essential oils or a longtime user, lavender essential oil is one that should always be on hand. You can get Applejack Life 100% Pure Lavender Essential Oil on Amazon for $24.50. I mostly use lavender oil for it's calming properties, and one of my favorite ways to de-stress is by soaking in a hot bath. Of course, no bath is complete without adding in some soothing essentials. 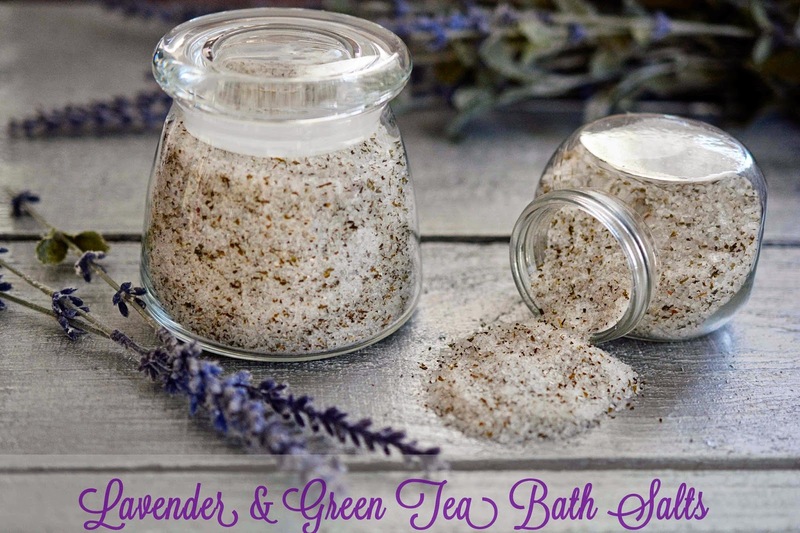 I love to combine lavender oil in some salts and loose green tea for the ultimate bath soak. Adding salts to the bath is an incredible way to draw toxins from the body. They are also great at relieving inflammation and cramping. Green tea detoxifies and soothes stressed skin, fights inflammation, and firms and balances skin tone. When I want to de-stress, I draw a hot bath, pour in these lavender and green tea bath salts, and let it work its magic. In a large bowl, combine salts with the loose tea from the tea bags. Stir in essential oil until you reach desired scent. Pour 1/2 cup into warm bath water. Store any unused salts in an air-tight container. Since my dogs are allergic to some commercial air fresheners, I also keep a spritzer bottle in the bathroom with homemade lavender vanilla room spray. 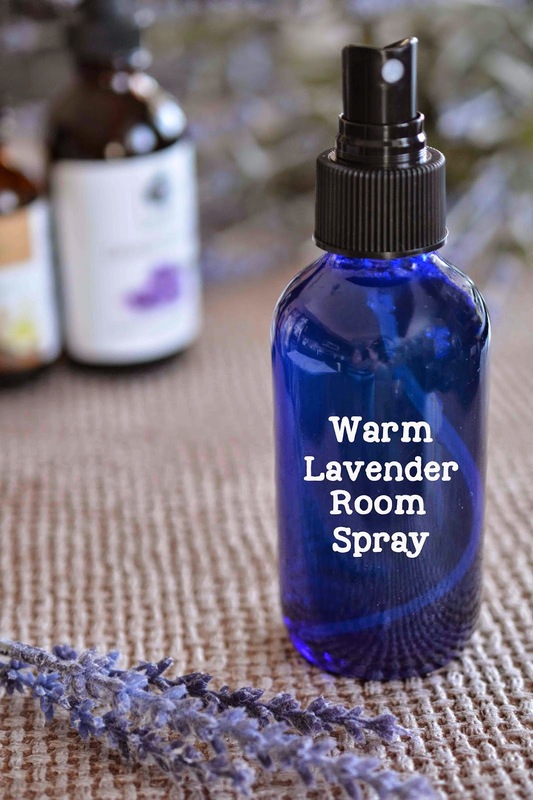 To make the room spray, combine 4 drops lavender oil, 1/2 teaspoon pure vanilla extract, and 1/2 teaspoon Epsom salt in 4 ounces of water. Store in a dark glass spray bottle. *Do not use a plastic bottle as the oil can break down plastic*. I will sometimes spritz a little on my pillow to help me sleep better at night. I can't say enough great things about essential oils. My husband doubted their benefits until he saw them work firsthand. Even though he gets weird looks from his buddies, now he goes around encouraging others to give them a try too! Applejack Life offers a 90 day, no-hassle money back guarantee. Try them. You'll like them! Do you like the scent of lavender? Have you tried lavender essential oils before? I love the smell of lavender. It is so relaxing. I have never tried lavender oil, though. I should. I love the smell of lavender and have heard that it really is good and helping me relax. I like to try this De Stress Homemade lavender Bath Salts! Thanks for the recipe! I didn't use to like lavender, but it's grown on me. Now I find it pleasant and relaxing. I haven't joined the oils craze yet. But that does sound like a relaxing bath. I love relaxing with bath salts or bath bombs. This sounds so perfect for de-stressing. I have heard great things about essential oils. I need to try them. I love Lavender.. I love lavender and I have never had the chance to use oils but only hear great things about them. If you ever get a chance to try them, please do. They can be quite wonderful. I like the scent of lavender but it doesn't relax me. I will try these bath salts though. I have some swollen ankles that could use a soaking. I'm impressed that it has that many uses. I know that lavender is really good for you in so many ways-but I have a BIG problem--ACHOO--I am very allergic to the scent!! I have heard that some people do have sensitivities to the scent of lavender, so it definitively isn't for everyone. I love the scent of lavender, but every time I have tried to drink green tea it has upset my stomach terribly. I wonder if it would have some kind of reaction on my skin? Lavender scent is always really nice. That bath sounds so relaxing! Haven't used the lavender with Epsom salt for baths. Usually add couple of drops of an oil called, "Nerfertti foaming bath. Perfumes the whole house for days. I haven't heard of that before, but I am intrigued. Off to Google it now! I love the smell of lavender. so relaxing. I actually grow it. Hopefully it comes back after our hard winter. This sounds great. I wish I had a big tub! I love the smell of lavender and definitely need to check out essential oils. I'm sure I would love them. I used lavender essential oil today when I had a massage. Lovely. I love lavender and this sounds perfect for de stressing. I was just doing a little research on essential oils yesterday, because I wanted to make a similar homemade product for my bath. I would def. start with lavender, which I love. This one sounds like a great option. Thanks for the review and recipe! Lavender essential oil is one of my favorites. I use it nightly in a diffuser to help me sleep. I love lavender oil! Be careful with boys - Lavender oil is estrogenic and can stimulate breast tissue even in boys. Wow! I had no idea! I guess it's a good thing I don't have boys! I love love love lavender. I haven't tried EO before because we can't really use much around our bird but for baths? Yes please! I use my Young Living Essential Oils all the time! Lavender is the "swiss army knife" of oils! I love Lavender so much & its smell is just amazing too. The essential oil & the Room spray are the ones I would love to try. I don't like the scent of lavender. Maybe I just smelled it too strong. Yes, it's very strong. You only need a couple of drops to get the job done in most cases. I know these are great for their calming properties. I've heard great things about lavender oil therapy. This is a great way to relax. I love using essential oils. All I have ever used is epsom salts before, never tried anything else. I use lavender EO as well but usually just in my aromatherapy burner. I will definitely try to make my own bath salts one day when I actually get a bathtub at home haha! I just love essential oils. I use them for a lot of things. Lately I have been using them in cold and flu bombs. I love lavender....one of my go to scents when I make soap. Your bath tea makes me want to have a hot bath and crawl into bed. I have been hearing so much about essential oils lately and I am very intrigued! These bath salts sound perfect for a relaxing bath! ooohh I love these bath salts idea, I like crafts and it would make a nice gift and to keep, too. I love lavender and I think most ppl do like the scent! I love to add lavender essential oil to my kids bath water. The health benefits of lavender essential oil include its ability to eliminate nervous tension, relieve pain, disinfect the scalp and skin, enhance blood circulation and treat respiratory problems.